worst phone ever..Every time you want even read a message it gives 'out of memory error' that too with a two GB card.. hell..basic functionality itself was not tested correctly... so lame !!!! do they do it in purpose??? I cant receive text or send any. It keeps saying message corrupt. What shall i do? Do others have this problem? It is known as W100 in Brazil. Just use this phone for two days its really brand new, then when i use to start it up it keeps repeating "Insert Sim" though i inserted. Then it turn off by itself then start up again saying the same. What should I do?? I want to ask how to delete numbers from the option smart search and if it can be where it is. I know I can be turned off but the numbers remain in the phone. Anonymous, 28 Apr 2011Hi Every one..Please do not buy this.I have very bad experience with this. It too slow..I cann... moreit must be shuted down n open it back to solve the problem..
After upgradation of software also the problem is not solved. Its really waste phone and failure model. I am updating software for every 15 days and i had given it to sony service center twice. even though it is hanging. One worst fello in chennai main service center told that we have to messages every time. but after clearing also it is hanging. Only thing is we can get good music clarity. but basic features messaging and calls will not work properly because of hanging problem. Hi Every one..Please do not buy this.I have very bad experience with this. It too slow..I cannot send SMS it is always give msg "Out of Memory".But i delete all msgs.But it is same msg comes again and again. i send my spiro to service centre every 3 months!!!!! this phone gives me many problemssssssss! 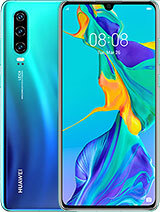 PLEASE DON'T BUY THIS PHONE!!!!! i send it to the service centre every 3 months!!!!! !